Greetings All — I’ve been mostly silent for the past few months due to some trying times that have left me uninspired. We all have these spells or bad days (or series of bad weeks) caused by work or personal issues or those times where you just seem to drop everything (physically or literally). You feel me? Treat Yourself Self care is important, Kids. And especially when things aren’t great, it’s totally acceptable and healthy to treat yourself. I bought myself a waffle cone after a tough day last week. 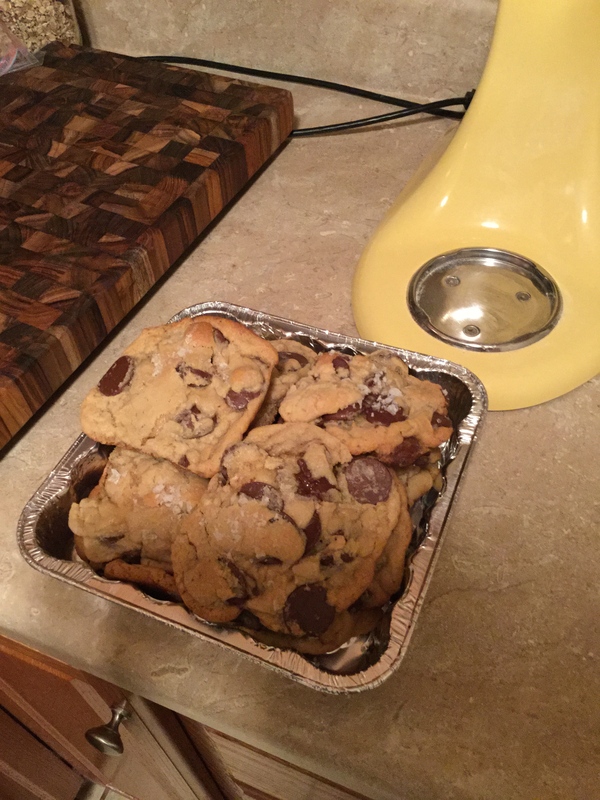 I made myself cookies today because I wanted them. You can probably sense a pattern here, but not all of my treats are food. Get a massage. Let yourself get lost in a novel. Take a nap. You do you. Optimism It’s easy to let yourself wallow when you’re feeling down: listen to sad music, eat sugar, and watch other people’s perfect lives on Instagram. But don’t do it. And definitely don’t watch Breaking Bad or the Pianist. Heavy things are not what you need right now. Watch Parks and Rec. Watch Ellen. Light/optimistic/funny. Go. Exercise I pretty much want to slap anyone that tells me this, so I completely empathize if this is your reaction. But from personal experience, exercise does make you feel better, and it does have a profound effect on your mood. I’ve started working out in the mornings before work, and it improves my day. By the time I walk into the office, I’ve already done something positive for myself. Start small. Sleep The only thing worse than a rough patch? A rough patch while you’re also sleep deprived. Go to bed early. Get enough sleep. Things always seem better, even marginally, in the morning. Gratefulness Things could always be worse (Murphy’s Law, anyone?). Be grateful for what is going well. Write down anecdotes from your day. Show appreciation to those around you. Be happy with what you have in the present moment. Focus on the Long Game You may not be where you want to be physically or emotionally/personally or professionally, etc. But focus on the long game. What can you do now to get you to where you want to be? This is not to encourage not being present, which is also important. But be proactive, make moves now. It will make you feel better. Promise. Good luck out there. High-five, Champ.